"Ancient Foodways as Medicine and a Tool For Transformation." John Farais, a Marin County chef and founder of “Indigenous Edibles” is a lecturer, cooking instructor, native plant specialist, and food educator. He has been cooking with ingredients native to The Americas, for over 10 years. Ask anyone, and they will tell you that John is one of the few, if not the only, Bay Area chefs who specialize in the history, taste, and promotion of California’s, and The Americas’ indigenous, edible plants. John specializes in using ingredients that are native to California, and North through South America in his cooking. He makes his own Acorn flour and forages for Mesquite, Bay nuts, Elderberries, Madrone berries, Nettles and Manzanita berries along with many other native plants. John has cooked for Carlo Petrini, the creator of Slow Food International, Actor Peter Coyote, Congresswoman Lynn Woolsey, The California Indian Conference and Heyday Books. He has lectured for Slow Food, The Oakland Museum, San Francisco State University, College of Marin, UC Berkeley and California Native Garden Foundation. 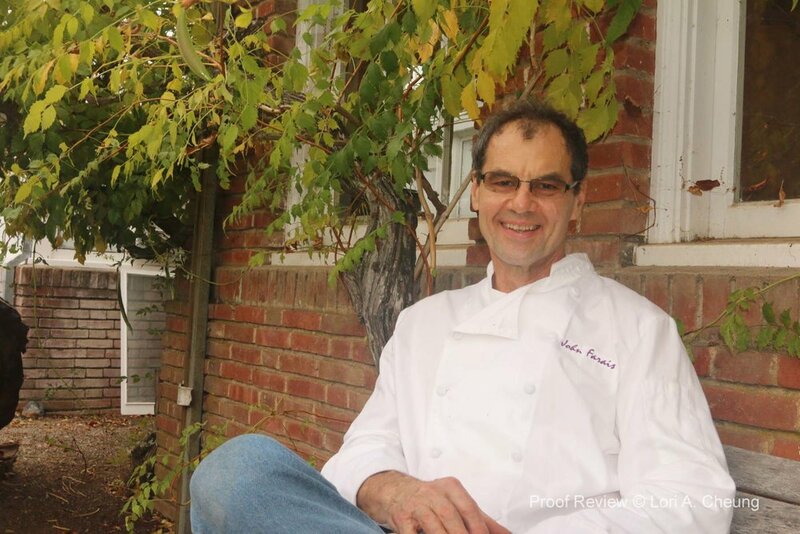 John's long-term goal is to help establish and source from Heritage Foodways. "OUR VISION IS TO PROMOTE A JUST, SUSTAINABLE, AND HEALTHY FOOD SYSTEM, BY SOURCING INGREDIENTS FROM FARMERS WHO HONOR THE CONNECTION OF THE EARTH'S WELL-BEING TO OURS."